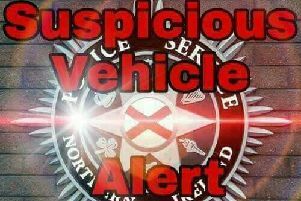 The digger was taken from a property on the Ballynafern Road, Banbridge. It is believed that the yellow JCB TM 300 Telehandler was taken from the property sometime between 4pm on Friday 12th April and 8.30am on Saturday 13th April. Constable Bingham said, 'I would ask any member of the public who has seen a digger matching this description in recent days to please contact police on 101 quoting reference number 285 13/4/19. "I would also appeal to local residents if they see or hear a piece of machinery like this on the move overnight to get in contact with police immediately."